There’s a very clear better here, and it’s “Ragnarok.” But that doesn’t mean these two films are not worth comparing. “Justice League” has a lot to be said about it and turned out a lot better than I had expected. 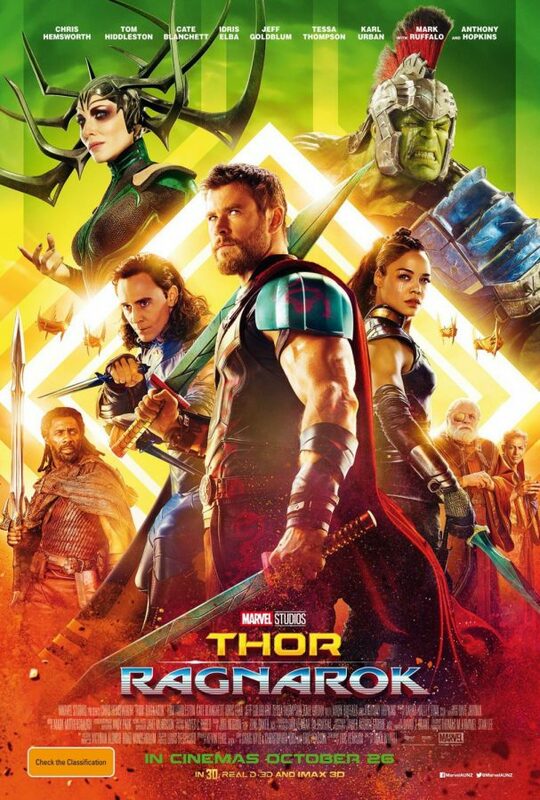 “Ragnarok” is a Marvel movie; it’s fairly formulaic, has a lot of jokes, some decently serious moments, and is very fun to watch. It also spoiled way too much in the trailer. Some scenes, [Spoiled in trailer, still spoilers] such as Thor losing his hammer and the Hulk’s reveal would’ve worked much better if they hadn’t been in the trailer, but were still great [End of Spoilers]. That’s really about all there is to say about it; it’s a good movie that deserves to be watched. “Justice League” is… interesting. It’s got a lot of good to it and one of the coolest intimidation moments I’ve ever seen. It has a lot of examples of what to do to make a great movie, it just fails to put them together properly. To try to explain what I mean by that, imagine if you had 20 really great 100-piece puzzles, and you took the corner pieces from all of them and tried to make a new puzzle with just those. Then you also threw in extra 20 middle pieces from a bunch of random other puzzles. It wouldn’t work well. The protagonists of “Justice League” are fantastic, with the Flash being a wonderful awkward teenager character, Batman and Wonder Woman as amazing heroes, and Aquaman who can do more than just use the whales. There’s also Cyborg but he’s kinda meh. The protagonists of “Ragnarok” are Thor, Hulk, and Loki. We’ve already seen them plenty; we know how we feel about them. There’s also a new character in “Ragnarok” named Valkyrie (I had to look that up, it’s actually the character’s name), she’s a Valkyrie. She’s awesome. The antagonist in “Justice League” is not great. There are these boxes he’s looking for that he keeps calling “mother”, which always makes it sound like he wants mommy to do his job for him. He’s not very intimidating, especially when compared with the villain from “Ragnarok” who at one point singlehandedly slaughters an army. There’s also the fact that “Justice League’s” villain is a poorly made CG creation, whereas “Ragnarok’s” villain is primarily live-acted. That being said, I do think both films are worth watching. “Ragnarok,” because it’s hilarious and awesome, like all the Marvel movies, deserves to be seen in theatres. “Justice League,” because it’s got a lot of bits to it that are great, even though they don’t add up to a great movie, should be seen, but only after coming out on DVD, probably on Netflix.